Two agents with the Brazilian Institute of Environment and Renewable Natural Resources, the country’s environmental enforcement agency, took water samples and talked with tribe members but said they were not authorized to speak about their findings. “He did not deserve this, he did not deserve it!” she sobbed. One woman told Santos’ wife that “this was not a tragedy, it’s a crime.” It was a sign of the growing anger directed at Vale over the disaster. Vale is the world’s largest producer of iron ore, which is the raw ingredient for steel. 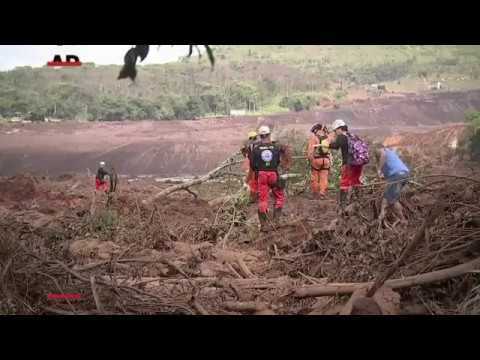 The company is one of Brazil’s largest businesses and a key employer in Brumadinho, but many residents have complained that a siren which should have gone off to warn people to evacuate never sounded Friday. The company’s American depository shares on the New York Stock Exchange were up 3 percent Tuesday afternoon on the New York Stock Exchange, to $11.54 each, after falling nearly 18 percent on Monday.